2000, closed for full renovation and reopened 2010. 5 Star Luxury Lodge, Relais & Chateaux. 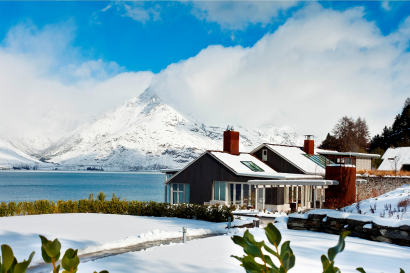 Matakauri Lodge is an alpine lakeside retreat nestled in one of the world’s most serenely beautiful landscapes. Spectacularly situated on Lake Wakatipu and only seven minutes from Queenstown. 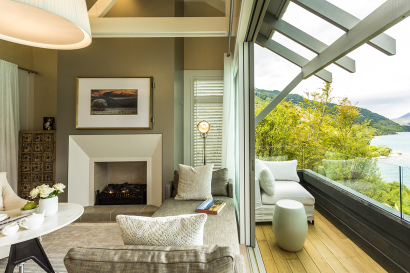 The Lodge and adjoining suites, originally constructed in 2000 with a contemporary New Zealand design, reopened in August 2010 after undergoing extensive refurbishment by acclaimed New Zealand Interior Designer, Virginia Fisher. 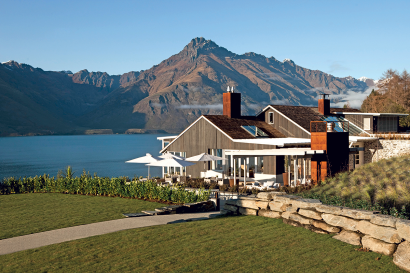 Matakauri Lodge was originally opened in 2000. In 2009 following the purchase of the property by the Robertson Family the lodge was closed for a full refurbishment and reopened in 2010. In 2013 a Four Bedroom Owner’s Cottage was added. Matakauri Lodge offers the best of both worlds and an unparalelled location exclusively set directly on the lake front yet only 7 minutes from the centre of Queenstown. The perfect base to retreat to while indulging in the adventures and activities the region is most known for. As a member of Relais & Chateaux, the bouique size allows for exceptional boutique service at the highest level. Queenstown is a lively alpine resort town and a year round destination for adventure lovers. 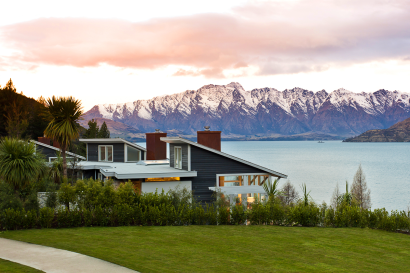 Serviced by Queenstown Airport with direct flights from Christchuch, Wellington, Auckland, Sydney, and Melbourne. An adventure destination with bungy jumping, white water rafting, canyoning, within easy reach. Multiple options for flight seeing Miflord and Doutbfull Sounds. Skiing in Winter with multiple ski fields to choose from within an hours drive of the lodge. 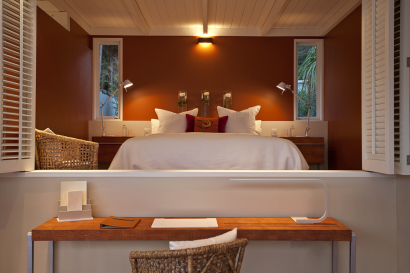 The four bedroom Owners Cottage at Matakauri is our premium accommodation with four full suite bedrooms, large open living and dining, private courtyard and stunning deck for relaxing and entertaining. If budget allows your clients will appreciate this recommendation. 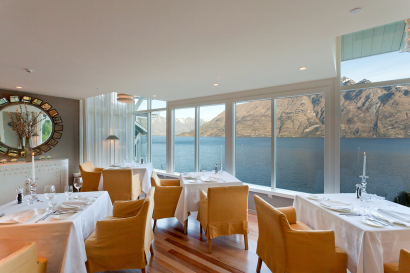 Request an evening for your clients to dine privately in the Library – on the upper level of the lodge, seeing the sun setting on the snow capped Remarkables from the window seat makes this a stunning space for a very special dinner. 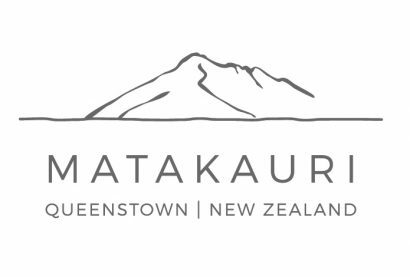 Matakauri Lodge welcomes families with children of all ages to the lodge. Special attention is made to familys with private dining, amenities and activities tailored to children and their ages. 11 suites, 1 room and a four bedroom Owner’s Cottage. 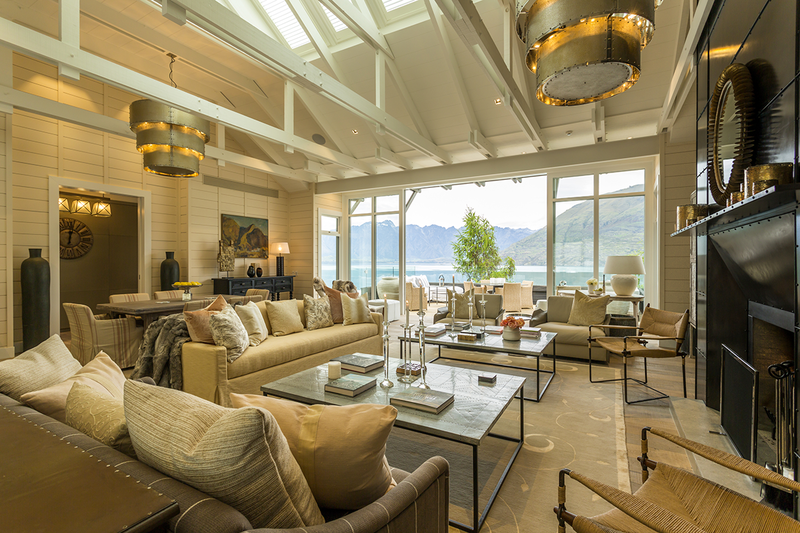 Four suites are located within the main lodge, with the remaining suites nestled in a native forest overlooking Lake Wakatipu and the mountain panorama and were styled by acclaimed interior designer Virginia Fisher. • Flat screen LCD TV, DVD player, CD player with iPod connection and security safe. 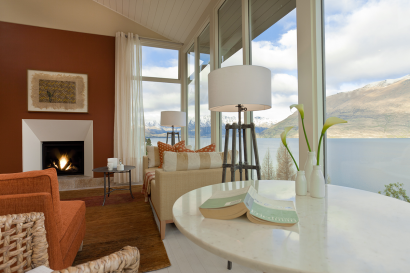 Our largest suites have commanding views of Lake Wakatipu and the glorious snow-capped mountains. The Main Lodge Suite offers the convenience of proximity to lodge facilities. 6 outlying and 1 within the Main Lodge. 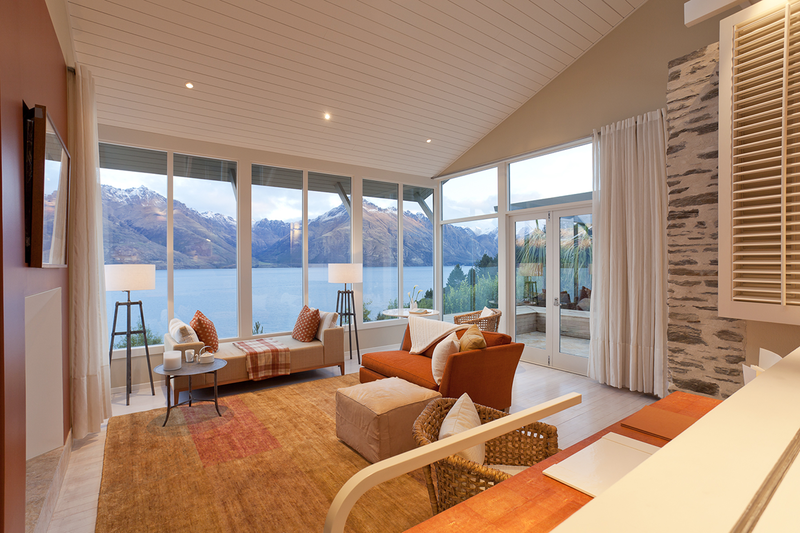 Superbly situated along the lakefront these spacious suites offer their own private balconies overlooking Lake Wakatipu. 2 outlying – 72.8 sq m / 783.6 sq ft. 2 within the main lodge. Located on the upper level of the main lodge, our lodge room offers an interconnecting option with a Deluxe Suite. 1 room – 36 sq m / 269 sq ft. The Owner’s Cottage has been especially designed for families and groups of friends traveling together, offering accommodation for up to 8 guests. The Owner’s Cottage is superbly positioned to offer uninterrupted lake and mountain views and boasts a spacious main lounge, study, kitchen and dining room. 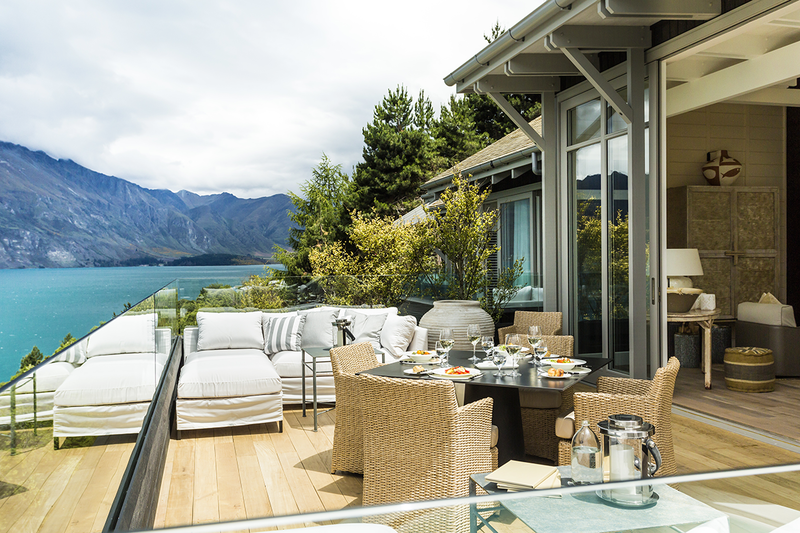 The perfect place to relax after an adventurous day out experiencing all that the Queenstown region has to offer, with the addition of an outdoor courtyard area with barbecue and cooking facilities for a chef if private in-house dining is preferred. The Owner’s Cottage is available to rent as a 2 bedroom or a 4 bedroom cottage and is 5,000 sq ft, 465 sq m.
As a Relais & Chateaux property, Matakauri Lodge offers a unique dining experience in a luxurious setting. 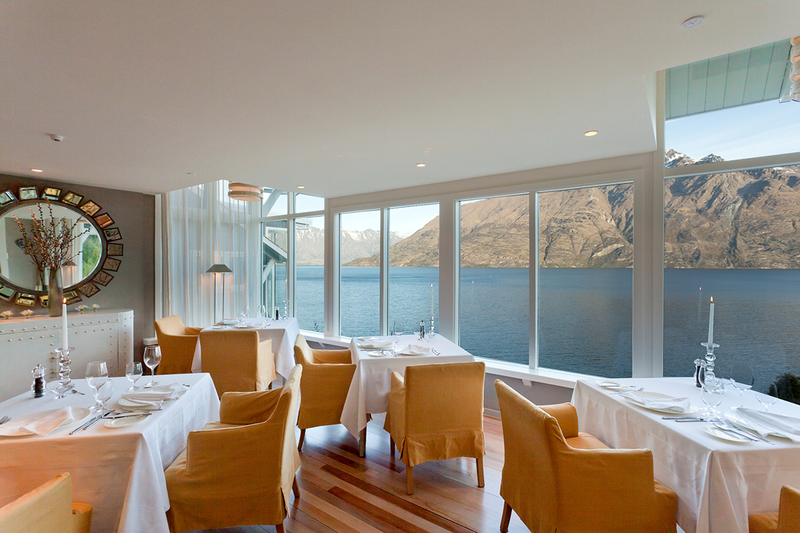 Head Chef Jonathan Roger’s modern New Zealand cuisine is focused on showcasing local seasonal produce with clean, fresh flavors in an a la carte menu that changes daily. 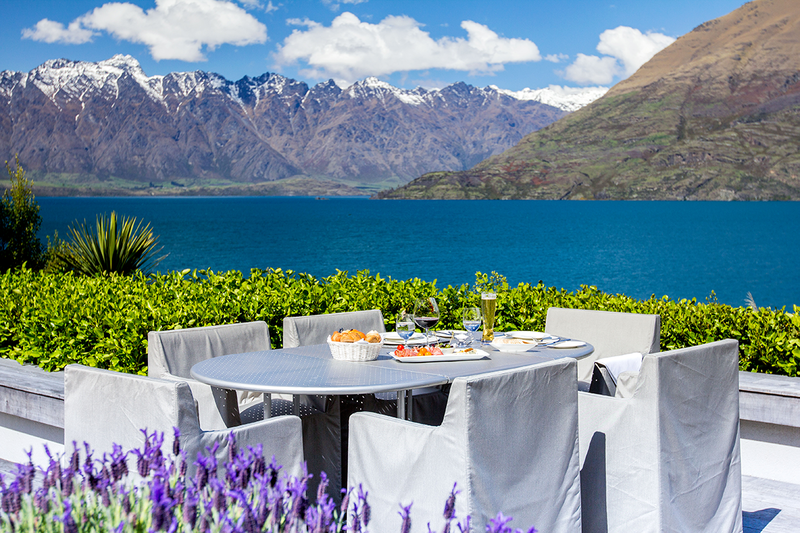 Room service, picnics and private dining are available on request. 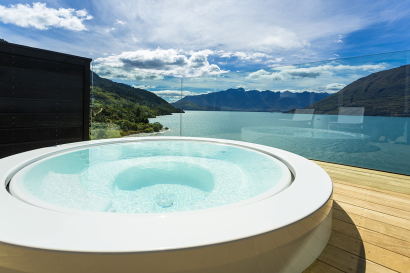 The Spa is located on the edge of a beautiful pine forest, with two treatment rooms and uninterrupted views to Lake Wakatipu and Cecil Peak. The facility includes the Fitness Centre and sauna with a luxurious outdoor infinity pool and jacuzzi. Matakauri Lodge is the ideal location for retreats and special events when you simply want to be able to enjoy the magnificent landscape of Queenstown. At Matakauri Lodge you are close enough to the action but far enough away to be able to work. 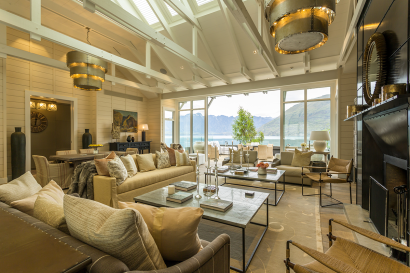 Located on the banks of Lake Wakatipu the lodge provides the ideal venue for an event or programme from 4 to 22 guests with a maximum of 32 guests. A number of marked walking trails are available to explore from the lodge. Matakauri Lodge has it’s own jetty for guest use meaning charter vessels can collect guests directly from the lodge. • Conde Naste Traveler (US) Readers Choice Awards 2015, Top 25 Resports in Australia & South Pacific #8. Conde Nast Traveller UK Hot List. Best New Hotels in the World. The Owner’s Cottage.